Effective July 30, Frederic (Fred) D. Argir is joining Barnes & Noble as v-p and chief digital officer, overseeing the company's e-commerce and Nook businesses. He has been chief digital officer at Toys R Us. Mahesh Veerina, president of B&N's Nook consumer business, will leave the company on February 1, 2016. B&N chief operating officer Jaime Carey praised Argir's "proven track record for driving organizations to high levels of performance and profitability" and thanked Veerina for helping B&N, over the last two years, "to re-focus the Nook business and make tremendous progress so that Nook can be integrated with the Retail business. We could not be more pleased that Mahesh has agreed to stay on until February of next year in order to ensure a smooth transition of the Nook business." 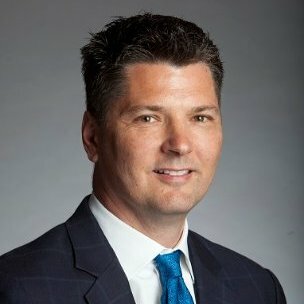 Before joining Toys R Us in 2012, Argir was chief information officer at the Sports Authority, a consultant to Best Buy and v-p of supply chain development at Target. In the week since its release, Go Set a Watchman by Harper Lee has sold more than 1.1 million copies in print, digital and audio editions in the U.S. and Canada, making the novel the fastest-selling book in HarperCollins history, the publisher said. The book had an initial printing of two million copies. HarperCollins has gone back to press multiple times and now has more than 3.3 million copies in print. It also printed more than 150,000 copies in Spanish for the U.S., Latin America and Spain. HarperCollins president and CEO Brian Murray told the Wall Street Journal, which, like HarperCollins, is owned by News Corp., that the hardcover edition has outsold the e-book version by a 2-to-1 ratio, "the opposite of many fiction works." Murray added: "First week sales of Go Set a Watchman have far exceeded our expectations. Bringing this book to market has been an amazing effort by thousands of people--from our publishing teams to booksellers large and small. We are thrilled to see readers responding to this historic new work from an iconic author like Harper Lee." The publisher's report mirrors retailers' reports. Last week, Barnes & Noble said that Go Set a Watchman had higher sales last Tuesday than any other adult fiction trade title in the company's history and expects the book to be its bestselling title for 2015. Books-A-Million similarly said that Go Set a Watchman sold more copies on its release day than any other adult fiction book in BAM's history. 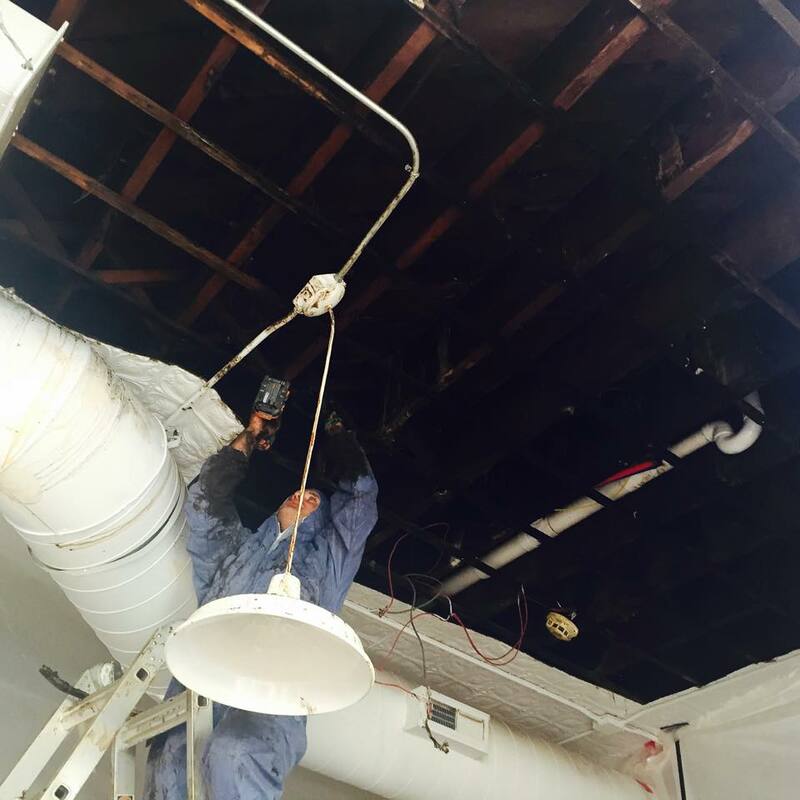 Literati shared this photo of the water-damaged ceiling. A large water leak Sunday night that originated in espresso equipment in the Espresso Bar on the second floor of Literati Bookstore, Ann Arbor, Mich., damaged hundreds of books and forced the store to close temporarily, according to mlive.com. "We called a company that deals with situations like this and they have installed large dehumidifiers and mats to remove moisture from floors so they don't warp and so the ceiling doesn't mold," said Mike Gustafson, who owns the store with his wife, Hilary. Hilary Gustafson said that Espresso Bar owner Sandy Bledsoe had put processes in place that minimize such accidents: "It could have been so much worse, if Sandy hadn't done what he did." A reading with Paul Thompson tomorrow will be rescheduled, and an event on Thursday with Tom Clynes, author of The Boy Who Played with Fusion, has been moved to the nearby Arbor Brewing Company. "We're trying to find a bright side here," Mike Gustafson said. "This is not happening the weekend before Christmas, or even before a busy Saturday. If there's a positive, it's that we're just talking about a slower Monday in July." 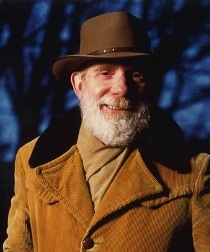 To honor the late beloved author Ivan Doig, Riverhead Books and independent bookstores around the Northwest are planning Ivan Doig Day celebrations to coincide with the publication of his upcoming novel Last Bus to Wisdom. The book is due out on August 18 and so far, according to Riverhead publicist Glory Plata, nine stores are officially participating in Ivan Doig Day. "We knew we wanted to do something to honor Ivan, but the big question was how we would do it," explained Plata. "We kept coming back to the fact that Ivan was beloved by booksellers nationwide. What better way to celebrate his life and this new novel than at the places and with the people who loved and shared his art?" The nine stores that have signed on for Ivan Doig Day are: Elliott Bay Book Company in Seattle, Wash. (which is co-hosting the event at the Seattle Central Library); Montana Book & Toy Company in Helena, Mont. ; Country Bookshelf in Bozeman, Mont. ; Fact & Fiction in Missoula, Mont. ; Powell's in Portland, Ore.; Book Passage in San Francisco, Calif.; Third Place Books in Lake Forest Park, Wash.; Parkplace Books in Kirkland, Wash.; and the King's English Bookshop in Salt Lake City, Utah. A 10th store, Village Books in Bellingham, Wash., will also be hosting an Ivan Doig tribute, but in September instead of on August 18. The exact plans for Ivan Doig Day differ from store to store, but most involve guests reading parts of Last Bus to Wisdom as well as passages from their favorite Ivan Doig novels, discussions of Doig's body of work and personal stories about Doig. Riverhead has sent a kit to participating stores that includes commemorative buttons featuring a photo of Doig and the phrase "Born to Raise Heck," a large poster and a finished copy of Last Bus to Wisdom for display. Additionally, Riverhead plans to help cover costs for any refreshments at events. At the Seattle Central Library event, planned guests include poet Linda Bierds, historian David Laskin and author Annie Proulx. Myra Platt, the co-artistic director of Seattle's Book-It Repertory Theatre and the star of Book-It's stage adaptation of Doig's novel Prairie Nocturne, will perform songs composed for that production. According to Chris Higashi, the program manager for the Washington Center for the Book at the Seattle Public Library, Doig read there twice: in September 2012 for The Bartender's Tale, when he drew an overflow crowd of some 400 people, and in September 2013 for Sweet Thunder. Fact & Fiction will host its Ivan Doig Day celebration at Ten Spoon Vineyard and Winery in Missoula. Doig, who was born and raised in Montana, dedicated his 1980 nonfiction book Winter Brothers: A Season at the Edge of America to "the Missoula Gang," a group of 26 friends and acquaintances from his time there; for the Fact & Fiction event, all 13 members of the Missoula Gang who are still in the area have been invited. "With each book his audience and his reputation increased," said Barbara Theroux, owner of Fact & Fiction. "He was always fun, always quite the gentleman. You could tell his heart and soul were in Montana. He was always a wonderful author to host." 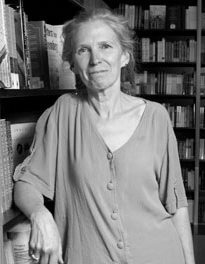 At Book Passage's Ferry Building store in San Francisco, there will be readings and discussions of Last Bus to Wisdom as well as Doig's past work. Janis Cooke Newman, author of A Master Plan for Rescue; Cyra McFadden, author of Rain or Shine; Andy Weiner, sales rep for Abrams; and Hut Landon, executive director of the Northern California Independent Booksellers Association, will lead off the readings. "It's going to be a great celebration," said Elaine Petrocelli, co-owner of Book Passage. "We had really amazing events with him. For most authors, we have events in one store or the other. For Sweet Thunder we had one in both stores. It breaks my heart that he's no longer with us, but what a body of work he left behind." Anne Holman, co-owner of the King's English Bookshop in Salt Lake City, plans to showcase on August 18 various first edition copies of Doig's books, complete with handwritten notes, as well as the typewritten letters he sent out over the years. Betsy Burton, also a co-owner of the King's English, will give an introductory talk about Doig, and Holman hopes that guests will share their memories of Doig and read passages from their favorite books. Simon & Schuster imprint Touchstone has launched Glommable, an online pop culture hub featuring content from authors, web creators and Internet personalities. The website's inaugural content includes a video interview between Allie Brosh, author of the webcomic and book Hyperbole and a Half, and Felicia Day, author of You're Never Weird on the Internet [Almost]; artwork by Lisa Hanawalt, an animator for the Netflix original animated series BoJack Horseman; an essay by Mary Laura Philpott, social media director at Parnassus Books, Nashville, Tenn., editor of Parnassus's literary magazine, Musing, and author of Penguins with People Problems; and an online quiz, "Which Indie Press are You?" Among Glommable's recurring features will be "Glom o' the Week," a showcase for the work of a particular web creator; "2 Glom or Not 2 Glom," a review-like feature about recent TV shows, movies, albums and books; "Glomtacular" essays about favorite media from various online personalities; and "Lit Wiz," a rotation of book-based surveys and quizzes. 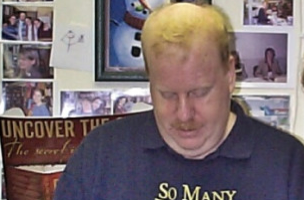 Very sad news: Scott Meyer, owner of Merritt Bookstore in Millbrook, N.Y., for more than 30 years, died on Sunday, the store announced on its website. His wife, Alison, wrote, in part, "He lived a quality life doing what he loved and has left us all the better for it. I know that he would want to be thanking everyone now for sharing your time with him." A memorial will be scheduled soon. In recent years, Meyer had suffered from melanoma, and early last year, friends raised nearly $40,000--almost $10,000 more than the goal--on GiveForward to help pay for Meyer's medical bills. Early this year, he put the store up for sale, writing, "The Merritt Bookstore is a beacon of light not just in the local community but in all of the Hudson Valley and beyond. By offering many wonderful events such as introducing authors and their books, school book fairs, festivals and participation in the New York State Reading Associations events (NYSRA), Merritt Bookstore has given and continues to give exposure to authors and their books, as well as informing the communities of the latest and greatest literature." Meyer called his store "a wonderful established business investment offering a great location, community, staff and lots of wonderful events. Please pass the word to others of this great business opportunity." Suzanna Hermans, co-owner of Oblong Books & Music, Rhinebeck and Millerton, N.Y., told the Poughkeepsie Journal that Meyer was a "legend" in the Millbrook community. "The work that he has done for books and authors and readers is unmeasurable," she continued. "We wish all the best for his friends and family and give them our love at this difficult time." Observing that "reading out loud is only fun when you have an audience," Third Place Books, Ravenna, Wash., hosts a monthly event called the League of Literary Snobbery: Storytime for Grownups. "Yes, it's a regrettable name born of an astounding lack of imagination, and that calling something 'Adult Storytime' would generate an entirely different audience," the bookstore wrote. "Every third Monday of the month... we gather in the Pub, get our drinks and adjourn to the Reading Room. And we read out loud. Mostly it's me reading, but others join in from time to time (we gladly welcome new readers). Sometimes there's a theme, and sometimes not. It might be an article, a short story, an essay, or a piece from a novel. Sometimes the occasional poem gets thrown around. We play it pretty fast and loose." She traced the changing nature of the competition and the store's many initiatives that parallel those that have been so important at many indies across the country: developing close relationships with authors (and faculty), holding events and supporting authors at their events off-site, partnering with other organizations, embracing new technologies--as well as moving the store and expanding the general books department's visibility. Still Life Las Vegas by James Sie, illustrated by Sungyoon Choi (St. Martin's Press), a novel/graphic novel hybrid. The trailer features the voice of professional voice artist Sie and Choi's illustrations. Tomorrow morning on the Today Show: John Green, author of Paper Towns (Speak, $9.99, 9780142414934), the basis for the movie that opens on Friday. Tomorrow on ESPN Radio's Dan Le Batard Show: Molly Knight, author of The Best Team Money Can Buy: The Los Angeles Dodgers' Wild Struggle to Build a Baseball Powerhouse (Simon & Schuster, $26, 9781476776293). TNT has ordered a pilot for Good Behavior, a series based on the Letty Dobesh books by Blake Crouch (Wayward Pines author), Deadline.com reported. Written by Crouch and Chad Hodge, the project will star Michelle Dockery (Downton Abbey). Lee Child Award for Best Loner or Detective: Ann Cleeves for her series character Vera Stanhope. In Edinburgh, Scotland, there was once a neighborhood called Comely Bank, whose denizens included some eccentrics, with stories that warrant telling. Hinted at, just out of the reader's line of sight, is the calamitous event that wiped it out, and Edinburgh, and all of Western Europe and beyond. This catastrophe motivates the unnamed narrator's storytelling, told almost entirely in flashback. 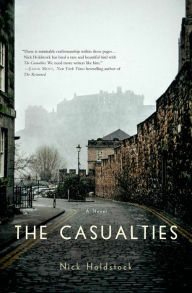 Following a brief and ominous opening in which Comely Bank's destruction is promised, the daily lives of local residents form the focus of Nick Holdstock's debut novel, The Casualties. Sam Clark is a very curious man. He runs the charity bookshop in the neighborhood, where he carefully sifts and sorts through donated books looking for the ephemera tucked forgotten between their pages: he's after photographs, letters, airline tickets, notes and cards that shed light on the lives of strangers. He carefully observes the people around him, seeking their stories. The reader won't learn what he's really looking for until well into Holdstock's meticulously ordered narrative. Comely Bank's other residents include Sinead, a nymphomaniac struggling to control herself but obsessed with a local shopkeeper; meanwhile she serves as caregiver for an obese, mentally handicapped man. Caitlin works at a secondhand clothing store and fixates on the crackling skin condition that mars her face. She loves a man who does not love her; "with adoration comes the wish to hold a pillow over his face." Alasdair lives under a bridge, dispensing questionable health advice to passersby who do not want it; he can't remember his last name or his past. "Trudy" is the name taken by a Filipino prostitute illegally residing in Comely Bank. Mr. Ashram is resentful of his neighbors' reluctance to accept him into their society. Retired headmistress Mrs. Maclean is impatient for her own demise. And so on--until the final, strangely twisting, imaginative pages. Shelf Talker: This memorable first novel examines a Scottish neighborhood's eccentrics with the benefit of hindsight following an apocalypse.